Bluefield students teaching computer science and coding to elementary and junior high students as part of the Hour of Code project. Thank you to everyone that participated in Bluefield’s first Relay For Life! Special thanks to the Leadership class for all of their hard work organizing this event – fantastic effort! Student council bobcats sightseeing on the Athabasca glacier near Jasper on the way to the Canadian Student Leadership Convention in Edmonton! Watch this space for dates of upcoming performances! Students in FDS421 preparing burgers for Bluefield’s own Burger Love creations! Bluefield carpentry students are busy this year building cabins for camp Seggie! As students and staff prepare for a new school year, I extend a sincere welcome to new and returning students and all parents and guardians. In an increasingly competitive world, a good high school education is essential. Achieving this requires careful planning and a commitment to regular attendance and hard work. Parents and guardians are encouraged to work with the staff at Bluefield to ensure that students make this commitment. Student involvement in the many activities offered at Bluefield helps students feel part of the school community, offers new opportunities, reflects positively in future endeavours and leads to overall better success in their academics. Parents and guardians can play a large part in this by encouraging their students to become involved. Parent involvement improves student achievement, promotes positive attitudes toward school and motivates students to succeed. Through our new website, we hope to improve communication between our school and home, and share the many successes of Bluefield's students. Successful schools are communities: communities of learners, teachers and parents. We ask for the guidance and support of parents/guardians and the commitment of our students to continue to make Bluefield a great place to learn, work and visit. This partnership will ensure that a successful and rewarding environment exists at Bluefield for the youth of our community. School Events • Athletics • Scholarships • Announcements • More! All @PSBPEI closed for the day because of the flash freeze warning. 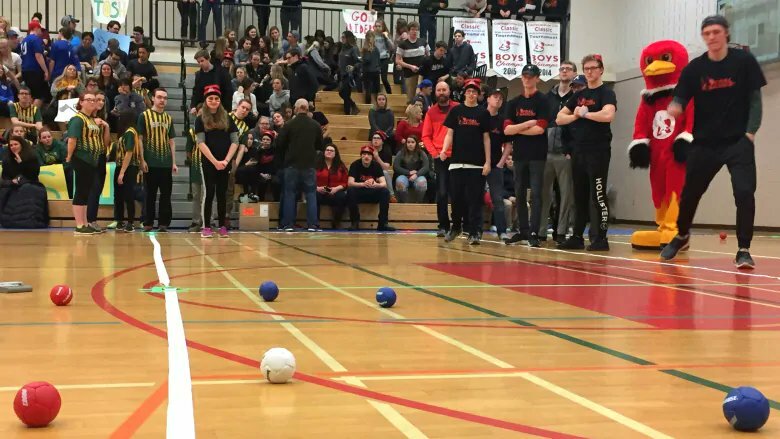 CBC coverage of Bocce tournament this week! Starts 12:36. A huge shout-out to all Bluefield students that competed in P.E.I. 's provincial unified bocce championships this week. Fantastic effort! Welcome back to all of our returning bobcats, and a huge welcome to all of our new bobcats - the class of 2021! We hope you all had a great summer and are looking forward to the new school year at Bluefield! Athletics • Deadlines • Events • More! Cafeteria: Lasagna Day today in the cafeteria. There will be no Art Club today after school. There will be an ADP meeting today at 12:00 in room 203. Graduates are asked pay their grad fee as soon as possible. It is $20 and can be paid in the main office. Are you interested in tutoring? We are currently looking for math tutors in both the A and B levels. Please see Mrs. Shoemaker in room 105 right away if you are interested. Any Grade 10, 11, or 12 French Immersion student interested in joining a weekend French Immersion Camp at University Sainte-Anne in Church Point, Nova Scotia from May 23rd-26th are asked to apply to Mr. Gallaway in room 117 before 3:30pm. It’s that time of year again folks, Bluefield’s second annual cribbage tournament will soon be underway. If you are interested, you can read the rules/set up instructions and sign up on Mrs. McQuaid’s door. All students and teachers who play crib are welcome to sign up. You do not have to be a member of the Crib Club to sign up.